Ludvig Borga didn’t last too long in the WWF (his total run was less than a year), but the company obviously had big things in mind for him. As we’ve seen over the years, Vince McMahon loves his evil foreign invaders who hate America. Borga was one of the mid-’90s versions of that trope and he was gifted with a big push out of the gate. During his run he defeated Marty Jannetty at SummerSlam, ended the winning streak of Tatanka in dominant fashion and was given a featured role at Survivor Series that year as a member of The Foreign Fanatics. He was the last man standing on the heel side. 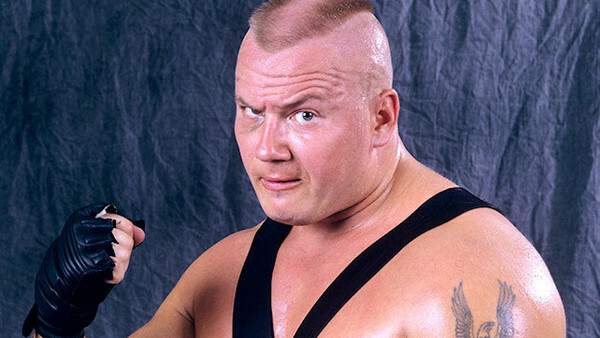 Things were looking good for the Finnish superstar until an ankle injury took him out of action, which nixed a WrestleMania match against Earthquake. He soon left the company and never came back. Still...maybe a little photo on TV wouldn’t have been such a bad idea for the multi-talented man?